I know there’s some of you that can’t get your head around the idea of cleansing with an oily balm and that’s understandable; we equate oiliness with dirt, clogged pores and spotty skin. 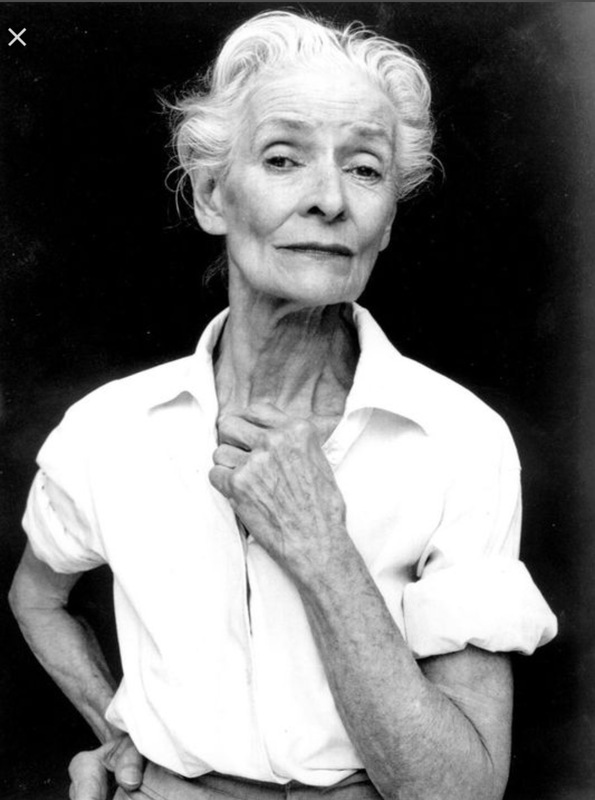 Aye, but there’s the rub (or not, in the case of a gentle balm) – the oils in a balm bind with your skin’s natural oils and get serious about lifting away the dirt and impurities that have built up over the day. Other cleansers can be harsh, leaving your lovely face feeling thirsty and dry (literally, stripped of the natural oils you need for healthy skin). Such cleansers are banished here at ANU headquarters and facial wipes are a bit of a dirty word (even if some teenage goddesses think their skin is invincible, sigh) Using a balm not only makes sense for good skin health in the long term, maintaining the skin’s natural oil content, but many have the added benefit of antioxidant and collagen boosting properties. ANU cleansing balm includes castor oil and carrageen Irish moss seaweed – both of which deserve a dedicated blog of their own such are the benefits; I’m talking healing, deep cleansing, anti ageing, moisturising, not to mention aiding acne prone and sensitive skin. They even help reduce pigmentation. Think of your cleansing balm as a make up remover, cleanser and deep moisturiser all in one. Sure, a make-up wipe is quick, but it’s not effective. This is your face we’re talking about. Get it as clean as possible before you go to sleep and your body starts its regenerative process. Using a cleansing balm is a must for any goddess serious about natural beauty. ANU Cleansing Balm is easy to use: Massage the balm into your face – even the act of massaging aids rejuvenation – and wipe off with a muslin or gentle cotton face cloth rinsed in warm water. Rinse the cloth and wipe clean again. A cold water rinse will close pores. You can use the damp cloth to apply ANU cleansing balm to your eyes, or dampened cotton wool. It will even get rid of waterproof mascara with ease, so none of that frantic rubbing I was talking about earlier. You don’t have to, but you will want to spend some minutes just feeling your lovely soft clean face. Knowing you’re about as perfect as you can get, go get your beauty sleep. We have recently been brought into closer connection with some lovely people; through a beautiful accident of time, place and circumstance, we have been fortunate enough to have joined a collective of businesses (all women, and as fans of ANU, all Anu Goddesses) this summer, and together we have opened a shop in the beautiful Powerscourt Townhouse Centre in Dublin city. 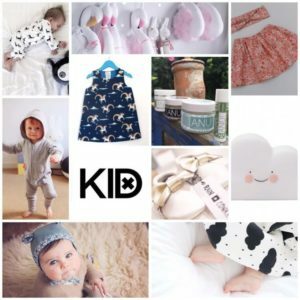 We call ourselves KID, as all the brands consist of the most gorgeous design led children’s clothes, blankets and toys. ANU is for the mums, the goddesses and now, even the babies; through our connection with KID, we have evolved to include even tiny new born babies in our skincare range. When people come into our shop, they tell us there is nothing like it anywhere else in Ireland. Everywhere you look, there are things to delight you; tooth fairies and unicorns, dresses and dolls, handmade wooden toys and tights for boys and girls; moccasins, baby caps, organic cotton pj’s and bamboo blankets, bibs, books, night lights, hoodies, cards and clips. 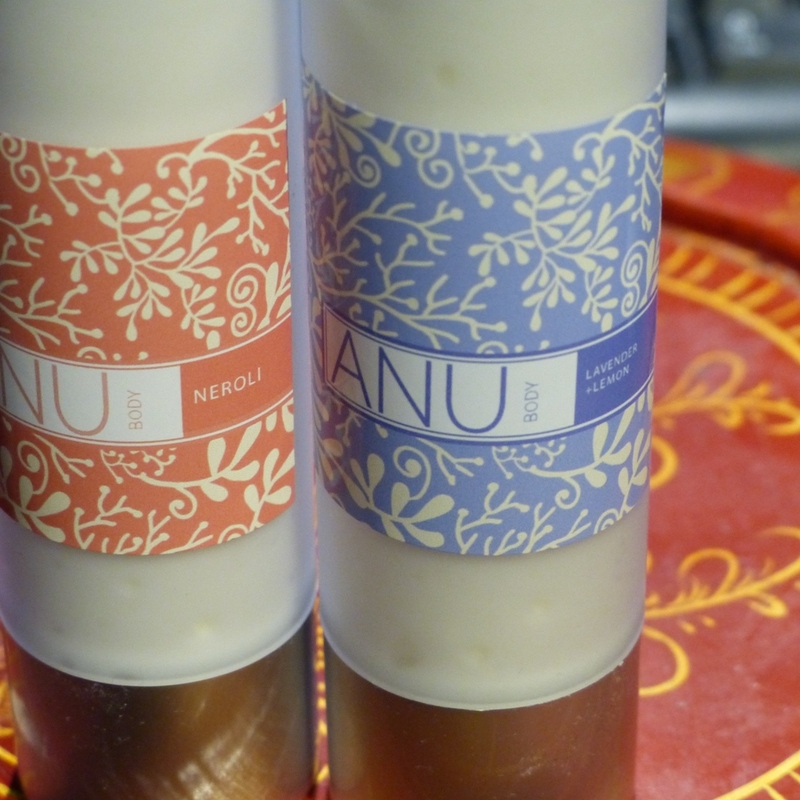 And of course, ANU skincare for mothers, goddesses and anyone you want to spoil. And now, we even have the most delicate Baby Balm – suitable for babies from birth. KID is special and ANU feels at home there. Our collective is healthy and happy and all the goodness of one brushes off the other. We learn, we appreciate and we prosper and grow. No wonder people feel there is a delightful atmosphere when they visit us. By paying special attention to each other, we open our doors to pay special attention to you. Come and visit us – Powerscourt Townhouse is magnificent and the heart of the Creative Quarter of Dublin is buzzing. It can only be a positive experience! 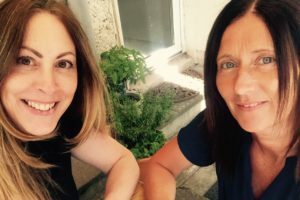 The ultimate gift for a busy woman is Time; wouldn’t it be wonderful if we could make time expand so that we could cram in all the things that need doing? Whilst the goddesses here at ANU headquarters can’t do anything about that, we can suggest a top tip or two for at least making time for yourself at the end of another hectic day. People are talking about ANU Night Balm right now because it’s having such an impact on the appearance of skin, particularly face,neck and décolletage, and while we suggest you use it last thing at night, sometimes you just want to fall into bed and forget about night time routines. So why not change where you keep your’s? If you get a chance to watch some TV before bed, keep it in the sitting room, where you can absent-mindedly moisturise to your heart’s content while you enjoy your favourite show; if you’ve got small children, you could do worse than massage their feet with it. Studies going back to the time of the Romans show that lavender (one of the main ingredients in ANU Night Balm) guarantees a good night’s sleep and since all the other ingredients (olive, sweet almond & coconut oils, cocoa butter, beeswax and carrageen Irish moss) are natural, you know it’s gentle enough for baby skin too. 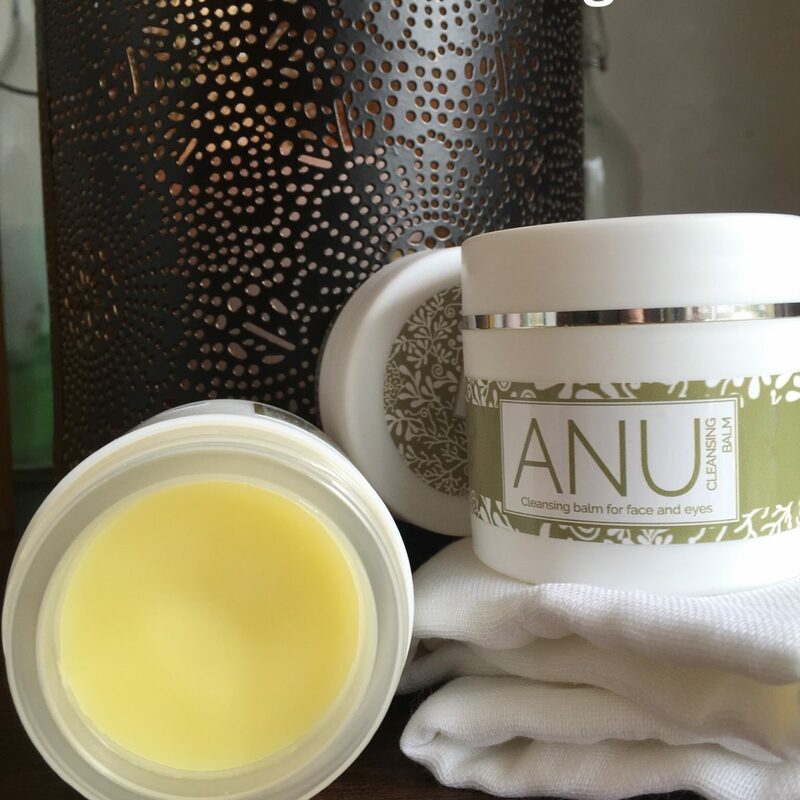 And don’t stop at your décolletage either – ANU Night Balm is good for rough skin, dry hands, eyebrows, cracked feet, nails, lips and the ends of dry hair. By the time bedtime comes around, you’ll be well and truly wrapped up in the relaxing, mositurising and healing essence of the balm that got top marks in a recent clinical trial: Out of fifty women averaging age 37 to 50, almost 93% noticed an improvement in their appearance generally, with many of those women receiving compliments on looking younger and more refreshed. Almost 98% noticed softer skin and we believe, most of them had a great night’s sleep! 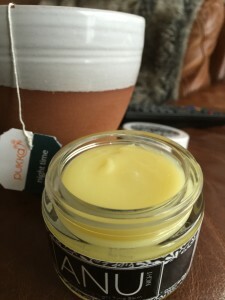 Find a way to get time back; ANU Night Balm. Not just for bedtime. Moisturise: essential oils that promote fading are in ANU moisturisers. Exercise – even walking regularly helps. Bio Oil or Castor oil – massage it into the skin before moisturising. Eating just two Brazil nuts a day gives you all the selenium & silica you need – good news for your skin and general health. Olive oil, coconut oil and aloe vera all work to a degree also. Stretch marks may never disappear completely, but they can be made less obvious. Some day you may even be proud of them! Don’t believe me? Check out #loveyourlines and celebrate the real human body.